* Before a subconjunctival hemorrhage spontaneous water, always think of intraocular foreign bodies unnoticed;must also sought hypertension. 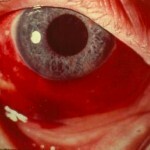 * Small ulcers spread to the cornea (superficial punctate keratitis = KPS) -> adenovirus keratitis and dry eye syndrome. * Keratitis neuroparalytic: dystrophic keratitis secondary to corneal anesthesia (inocclusion eyelid and facial palsy). * Ankylosing spondylitis is associated with recurrent anterior uveitis of character and good prognosis. * Disease Still gives severe uveitis is associated with cataracts and keratitis in strip. 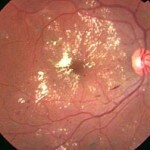 * The neovascular glaucoma gives a similar picture with acute angle-closure glaucoma. * Episcleritis: red and painful eye without loss of visual acuity (pain seems to tell the instillation of a vasoconstrictor eye drops). * Ocular hypertension is defined by a pressure> 21 mmHg (the average is 16 mmHg). * Ocular hypertension is not synonymous with glaucoma All hypertonia ocu-lar do not cause glaucoma; there are open-angle glaucomas which the intraocular pressure is within the normal limits. * Kinetic perimetry (Goldmann perimeter); static perimetry (perimeter Friedmann). 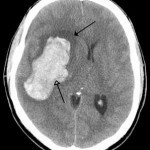 * Terson syndrome: vitreous hemorrhage associated with subarachnoid hemorrhage. 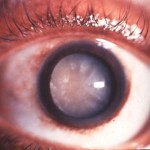 * Hyalite: vitreous inflammatory disorder in posterior uveitis (toxoplasmosis). * During the occlusion of the central artery of the retina, the fovea keeps its color as it is vascularized by the choroid. * Ultrasound B is always indicated when the retina is not visible (HIV) to remove a retinal detachment. * Indications mydriatic eye drops, to prevent or break the adhesions; put to rest the eye (uveitis, keratitis). * The first histological lesions of diabetic retinopathy is the thickening of the basement membrane, loss of pericytes and endothelial cell loss of retinal capillaries => obstruction, microanévrisme. * The cotton wool spots (dysoriques nodules): superficial white lesions and small sizes; they correspond to the axoplasmic material accumulation in optical fibers. 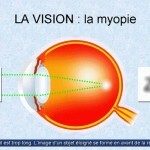 They reflect the retinal artery occlusion precapillary. * Pupil in miosis sometimes or posterior synechiae iridocristalliniennes with pupillary distortion. 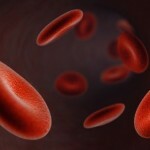 * Causes include ankylosing spondylitis; herpes; Still’s disease; sarcoidosis, Behcet disease (+ hyalite; + hypopyon). * Treatment: mydriatic eye drops + topical corticosteroids.